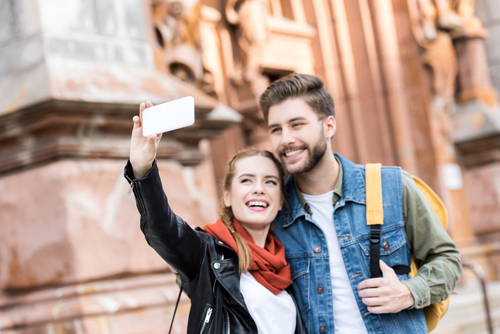 With the summer holiday travel season soon upon us, now is a great time to review some essential tips and suggestions on how to prepare your smartphone for travel. Whether you will be driving, flying, or enjoy time onboard a cruise ship, you will want to make sure your phone is protected against accidental damages and potential data loss. Tip #1: Do a complete backup of your devices prior to departing. Take the time to do a full backup of all of the data, apps, pictures, music, videos, and so on that are on your smartphone. There are different backup methods you can use, including the Cloud or your desktop or laptop computer. If you back device data up on your computer, it is recommended to make a backup of your backup either to the Cloud or onto a removable storage device as an extra precaution. Tip #2: Change your passcode and enable touch ID technologies. If it has been more than 3 months since you changed your passcode, this would be a great time to do it. It is also a good idea to turn on touch ID protection. With this feature, you will need to use your fingerprint to unlock the phone and not just your passcode. Tip #3: Password protect all sensitive apps with personal information. Make sure any online banking apps, credit card apps, pay apps, and so on are password protected. Some apps have been recently updated so you can also enable touch ID technologies for even greater security. Tip #4: If you store cards in your mobile wallet, make sure to enable passcode protection. The thing to remember with mobile wallets is you do not need to unlock the phone to use stored cards for payments. This is why you need to make sure passcode protection is enabled. Tip #5: Use a protective case to prevent damages to your phone. If you don’t already use a protective case, get one. If you plan on being around water, consider getting a waterproof case. Granted, newer smartphone models are water-resistant or offer some waterproof protection for brief exposure to water, but may not do well if you accidently drop it into a pool or the ocean. Tip #6: Enable auto locking and never set the phone down while unlocked. Your phone should be set to auto-lock, normally within in 30 seconds or less of inactivity. In addition, make sure to always lock the phone before you set it down, especially if the phone will be out of your sight like when you are in a pool or in the ocean. In the event your phone gets damaged and stops working, you can get help from Taking It Mobile and our data recovery services to attempt to recover your vacation photos and videos. 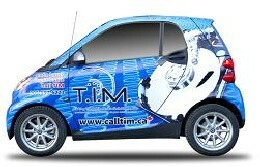 Contact us at 888.877.5002 or 1-888-Call-TIM now! We also offer data recovery services for ALL digital storage media, including, but not limited to RAID systems, desktop or laptop computer drives, gaming systems, portable storage drives, and more.